Not so long ago, I was referred to by someone as Mr. KIKO and you know something, I can’t fault the implied observation. Since discovering the brand 3 years ago in Spain (there’s a boutique very close to where my parents live), I haven’t looked back. The products aren’t the most high end; the ingredients aren’t the most hypoallergenic and in all honesty, some of the skincare is hit and miss, but when they have a hit, they really have a hit. 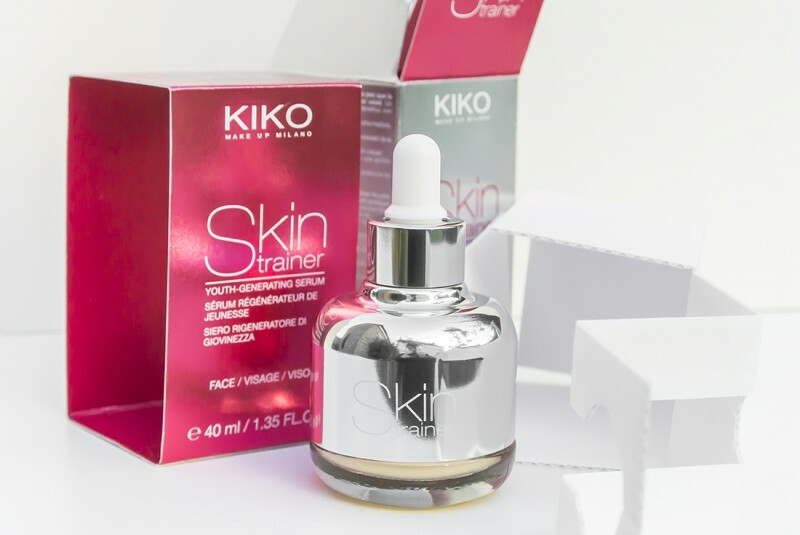 KIKO Skin Trainer serum is certainly one of those hits and is quite able to compete with any of the anti-ageing skincare solutions out there. There are some fabulous ingredients and they’ve even had the product clinically trialled with promising results. If you’ve not used a serum before it’s a product best applied over your moisturiser, unless your moisturiser contains an SPF (can act as a barrier), in which case it goes better underneath. Most people suggest serums work better underneath a moisturiser but in actual fact, your moisturiser balances your skin’s moisture barrier, enacting sponge-like capabilities, therefore penetrating whatever you apply on top deeper into the skin. How simple is that? So what does KIKO Skin Trainer serum do? I swear I once saw a deodorant that claimed to offer anti-ageing benefits which highlights what a load of B.S our industry can spew out. However, KIKO Skin Trainer serum really does offer a selection of ingredients that will undoubtedly reduce the appearance of lines and wrinkles; fact! Even though the serum is very lightweight, it contains a very high percentage of Shea Butter, a fabulously natural ingredient that smooths the skin by effectively nourishing and moisturising it’s surface. Salicylic Acid (BHA) works to break down the bonds of dead skin cells, gentle exfoliating skin throughout the day to reveal fresher, more effectively light reflecting skin cells. Believe it or not but you’ll find a good dose of cholesterol, bad for the heart but a key, naturally produced component in maintaing cell moisture, and plumpness. Creatine, an ingredient I have taken regularly as an exercise supplement, has been journaled to boost collagen production by signalling the lower levels of the skin to produce this key, strengthening and supporting molecule. Hydrolyzed Hyaluronic Acid bonds oil-free moisture to skin cells, hydrating skin and smoothing its surface. Finally Lactobionic acid, a more advanced alternative to Glycolic Acid and an AHA, works similarly as Salicylic Acid (BHA) but as an AHA provides simultaneous exfoliating and hydrating results. On a clinical trial of 20 women over 30 days (not the most intensive clinical trial I’ve ever heard of) KIKO reported that after just a few days of use, the participant’s skin became more supple and hydrated; wrinkles were reduced (no specification of whether visible and/or physical reduction) and the skin gained an even, smooth and radiant look. There is a fairly large dose of silicone in here, used often to visibly smooth the skin. 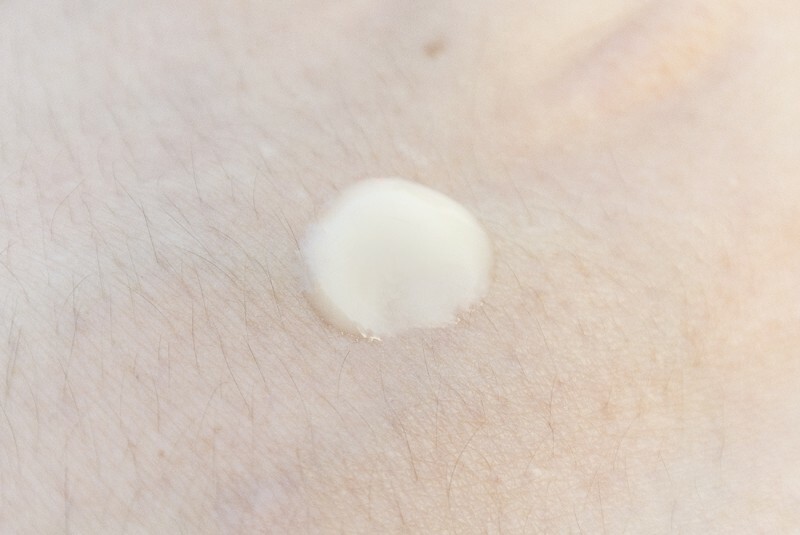 The type of silicone used however is one of, if not the most water soluble and lightweight silicone available and is reported to have minimal negative impact on the skin. Silicone in skincare works well to temporarily smooth and visible even out the skin. But with it’s use in the KIKO Skin Trainer, I wouldn’t worry. 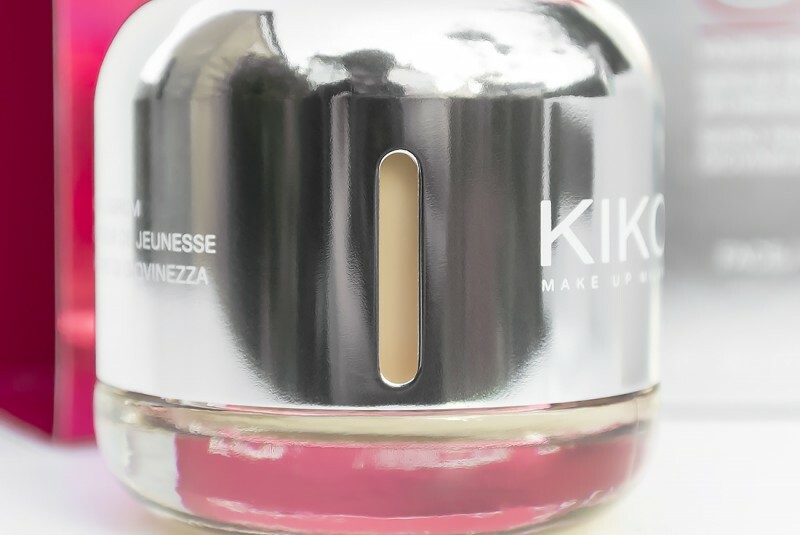 In use, KIKO Skin Trainer serum feels fabulous, lightweight and absorbs quickly. I did find that my skin is immediately brightened and hydrated on contact but the proof in the pudding was that after only a week’s use, my skin did feel smoother and undoubtedly looked brighter. It was actually after a busy few weeks and an abhorrent cold, with my immune system seeming to switch off entirely, my skin had taken a turn for the worse (plus as I felt horrific, laziness kicked in). I decided to throw on the skin trainer twice a day and I can honestly tell you that things started to pick up quickly, really quickly; in fact more quickly than usual and I can only put that down to, in considerable part, to KIKO Skin Trainer serum. Also over time, you can see how much serum is used by the window on the side, which sounds trivial, but you rarely ever find this useful little accent. Great for all skin types, you can currently pick up KIKO Skin Trainer Youth-Generating Serum for 30% off at just £16.00 directly from KIKO. This article first appeared on MANFACE written by Thom Watson. It was published on Saturday 28th September 2013 and was last updated on Monday 3rd April 2017 at 3:27pm. It's categorised under Anti-Ageing, KIKO Cosmetics, Serums & Treatments where you'll find more related content.